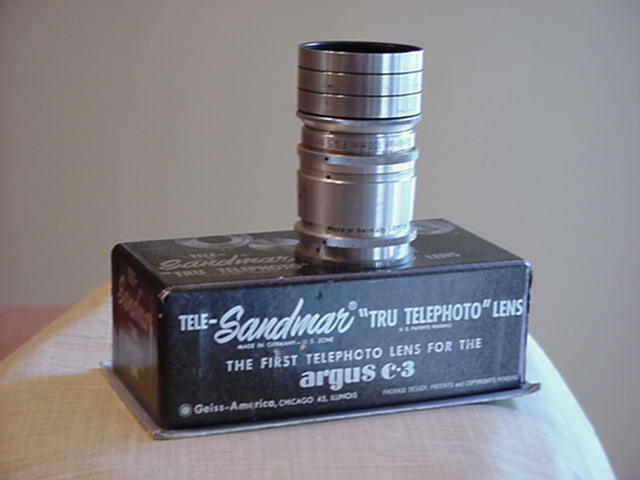 This is a counter display piece to show the Geiss American 100mm Tele-Sandmar Lens for the Argus C3 camera. 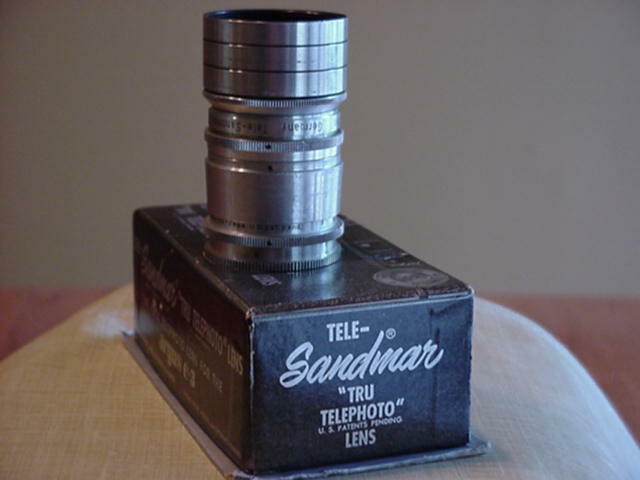 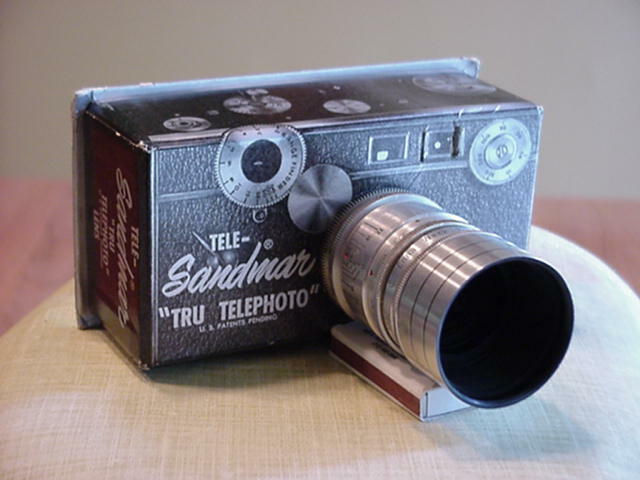 The model is made from heavy cardboard and the lens is an actual Sandmar lens. 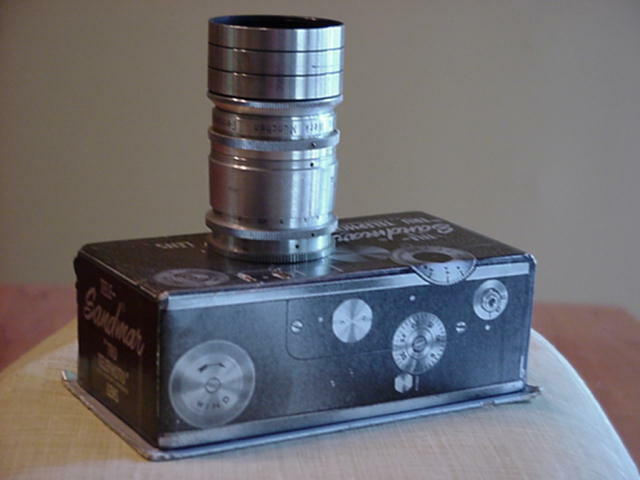 This piece is owned by ACG member Steve Berkowitz who reports both the camera model and lens share the same serial number. 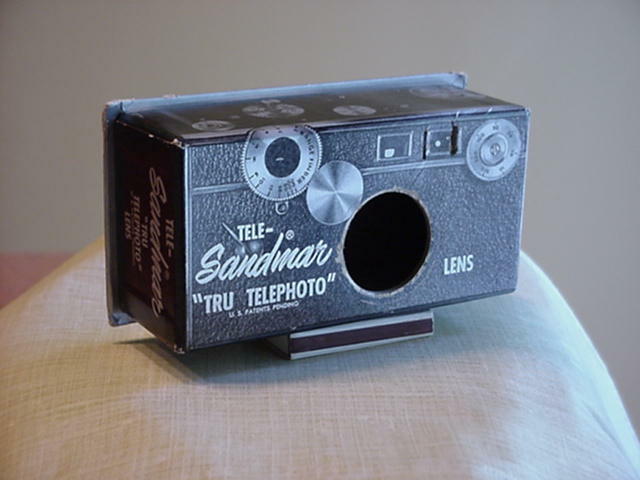 Click on any photo to see full-size picture.